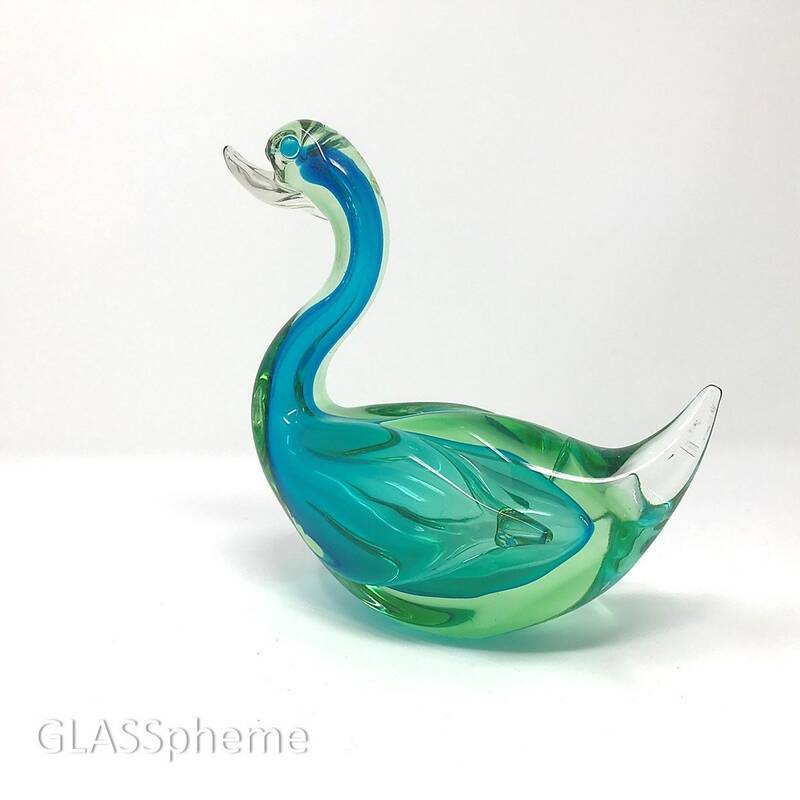 This is a gorgeous large late 20th century Murano glass duck (or some manner of water fowl) done in a compex and utterly mesmerizing green and blue blend sommerso | cased | submerged glass. 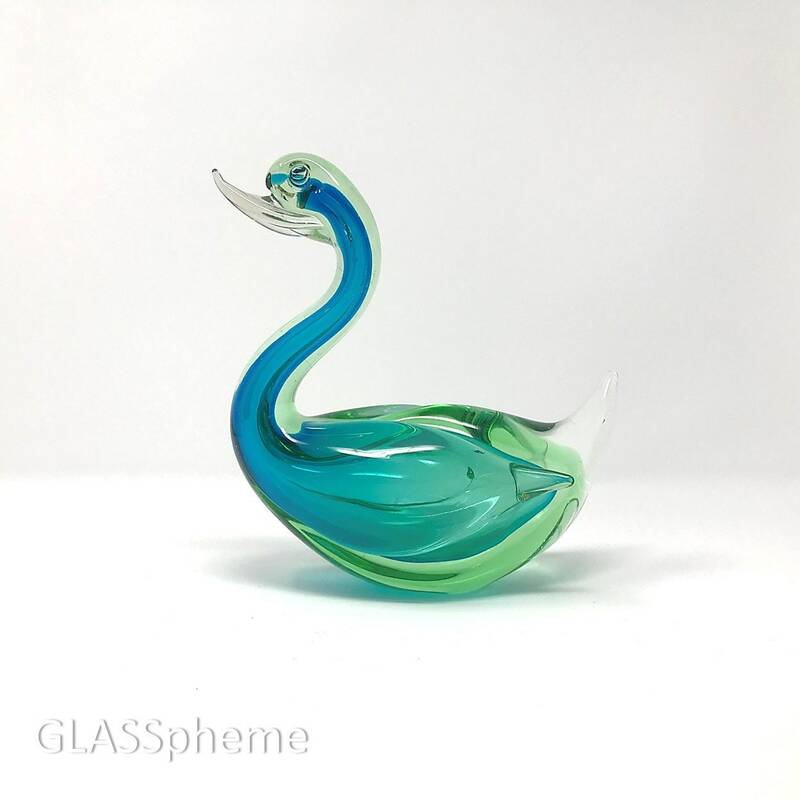 Murano firms borrow each other's designs freely, and I've seen similar pieces from many furnaces--I simply cannot attribute this beauty to a particular one with any confidence. 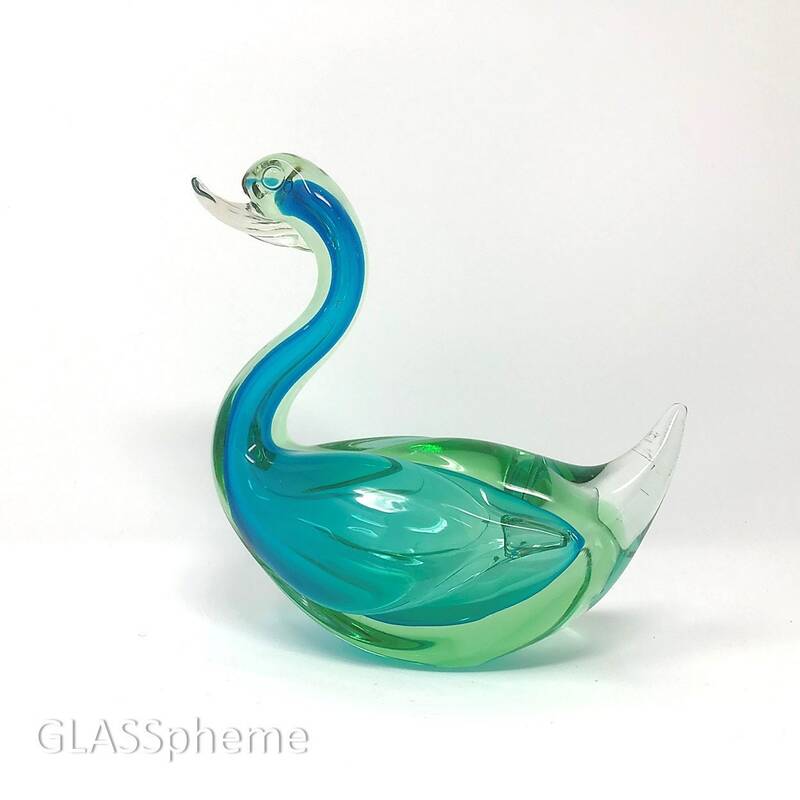 Most importantly, it bears the exquisite artistry of MURANO. 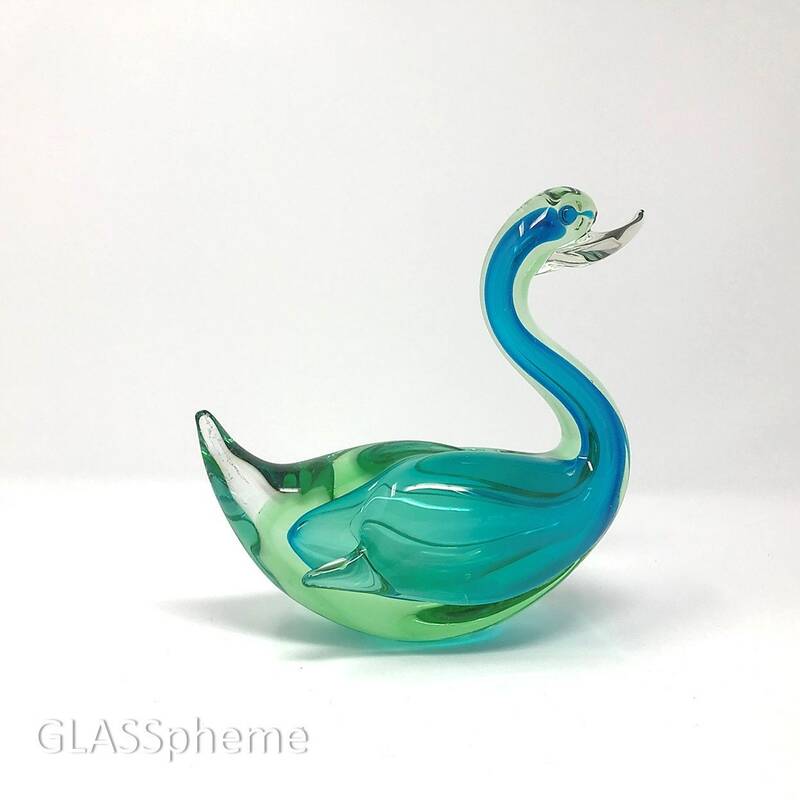 The internet is stewn with Chinese fakes--I've seen China-made figurines advertised as Murano on sites purportedly run by experts, e.g. 1stDibbs. 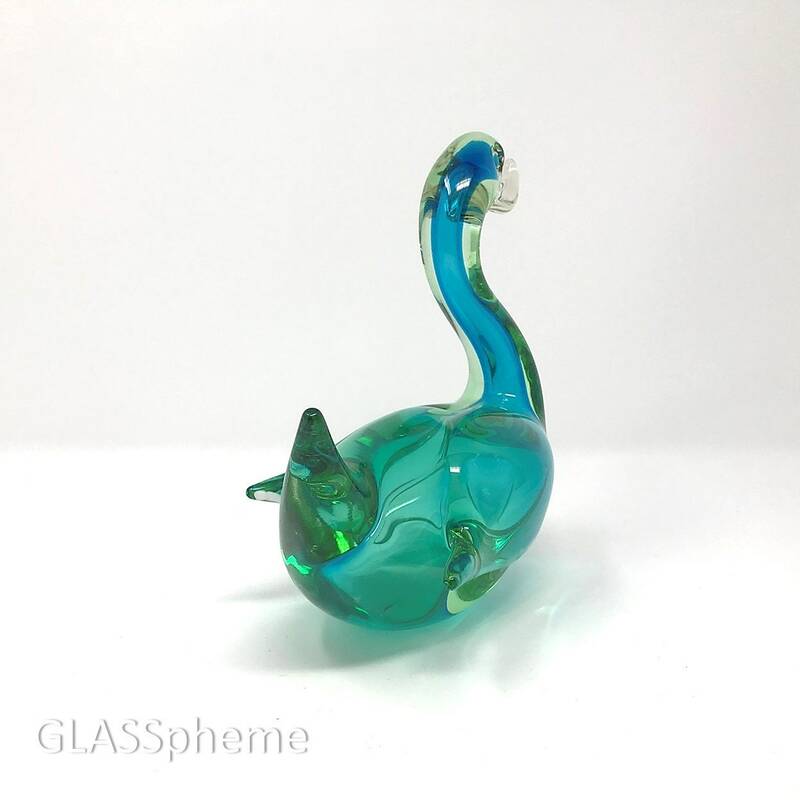 To me, the easiest way to tell a Chinese fake murano figurine is to look at the craftmanship and grace of the piece. Chinese 'murano' animal figurines look awkward--garish colors, clubbed rather than graceful lines, and childish facial detail. There's none of that here--this is one exquisite graceful wonderous piece!